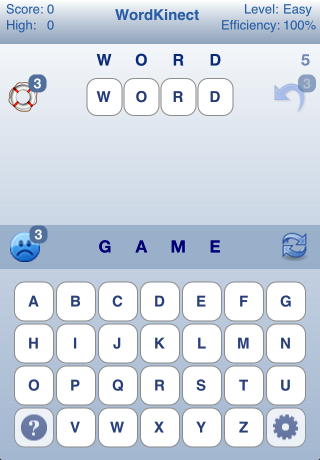 WordKinect is an exciting word game that tests your vocabulary skills as well as your stragetic thinking skills! 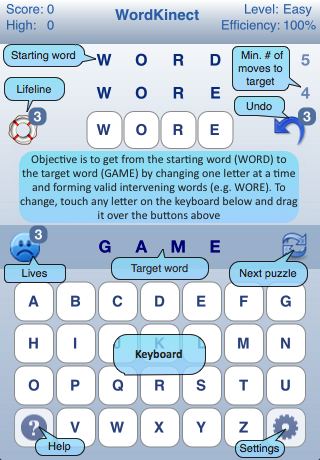 You are given a starting word and a target word, and the goal is to get to the target word in as few moves as possible by changing one letter at a time and forming valid intervening words. The shortest path may not always be the immediately obvious one and that is where where your strategic thinking comes into play. Uses a dictionary of over 50,000 words! 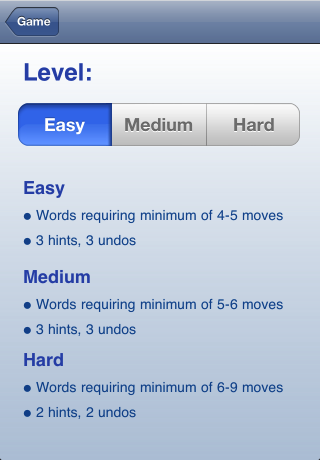 Meanings included - improve your vocabulary! WordKinect automatically adjusts the difficulty within each level depending on your current performance.